Lahore. The leading and popular actress, Veena Malik got divorce from her husband Asad Khattak. She got the popularity from her controversial acting in the Indian movies. 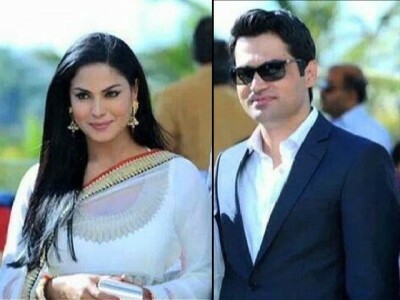 According to media, the actress Veena Malik got married with Asad Malik and she left the showbiz industry. Now she got divorce from her husband. She filed a case of divorce in the family court in Lahore and the judge of the family court gave the decision in favor of the actress and the court has also issued the degree in her favor on her appeal for divorce. The sources also confirmed that there were some conflicts between them and now they have decided to get separated their ways with their mutual consents. She got married to him in December 2013 in Dubai and she had two children.